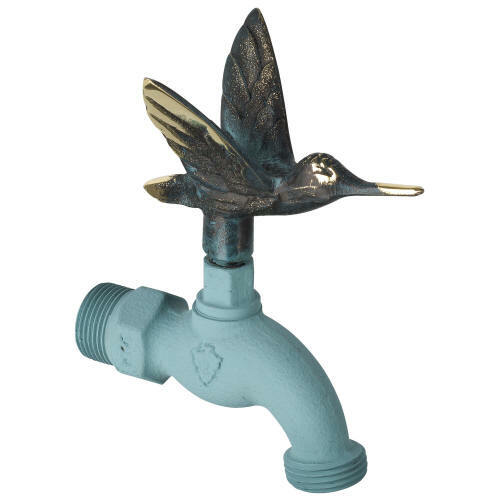 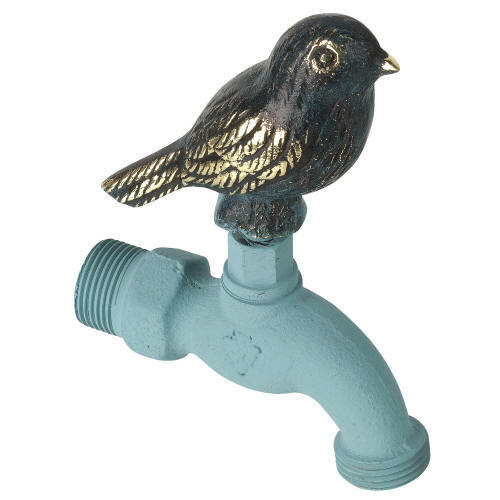 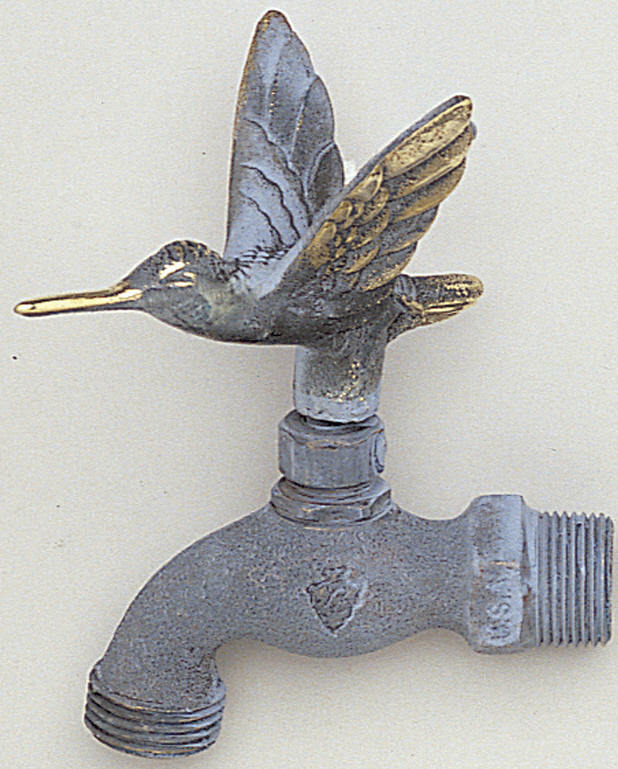 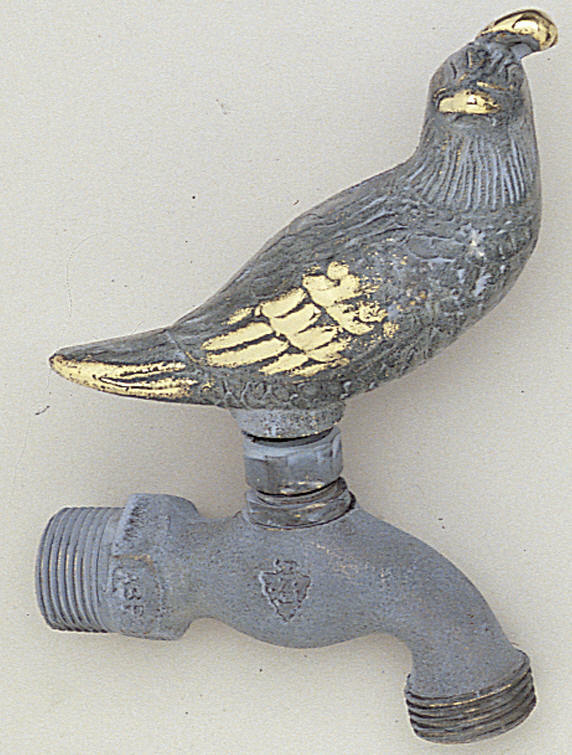 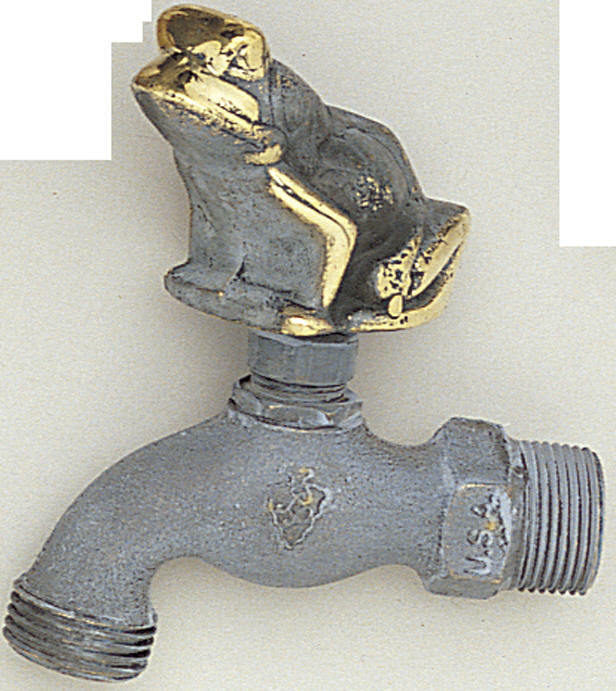 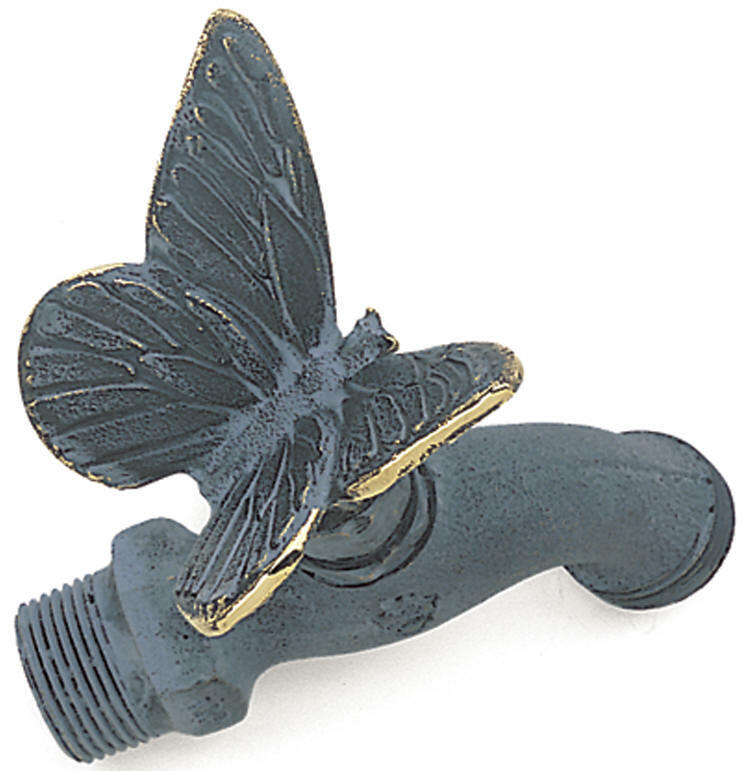 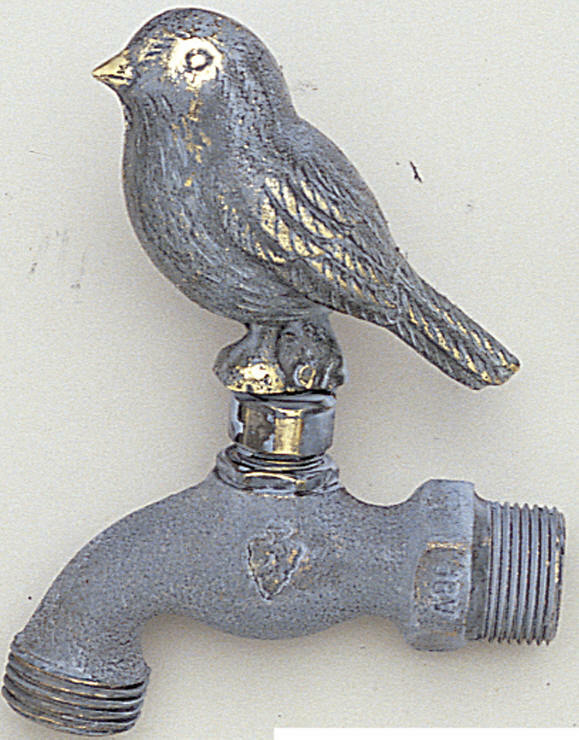 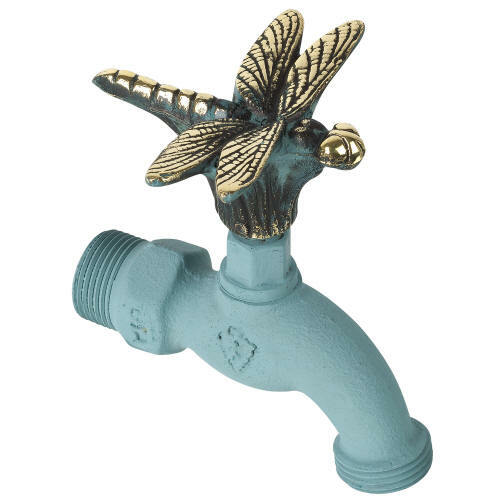 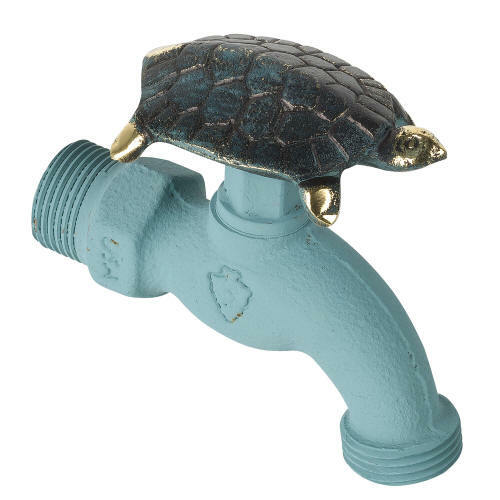 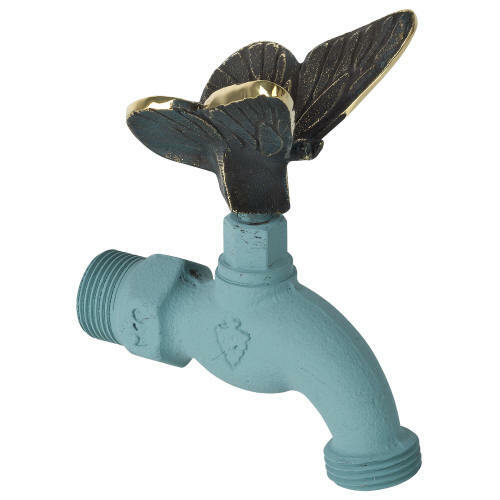 Offering Fauna Brass Faucets with beautifully detailed animals. 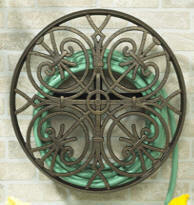 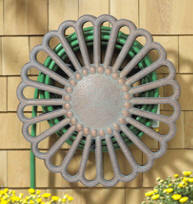 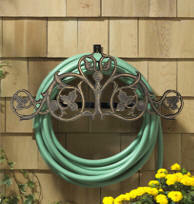 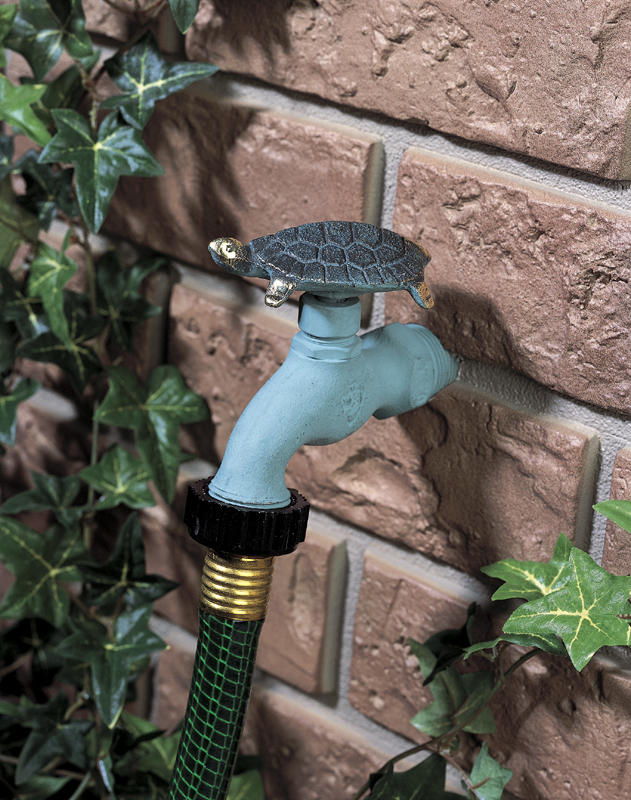 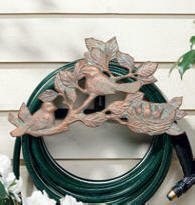 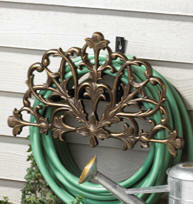 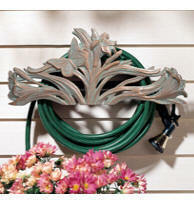 The handles are sculpted from brass with a rubbed patina finish and is permanently mounted on a 3/4" brass hose bibbs. 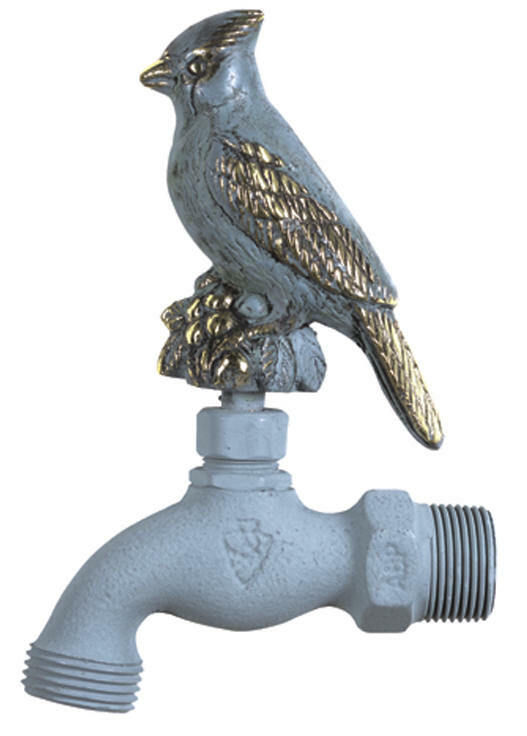 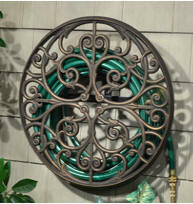 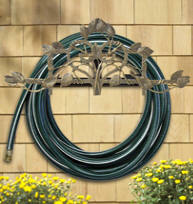 Beautifully Sculpted from Brass permanently mounted on Brass Hose Bibbs. 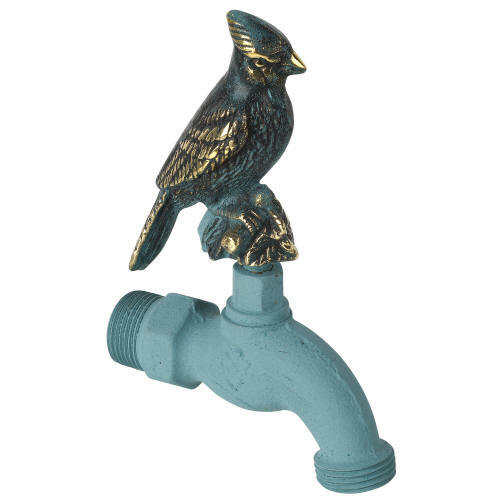 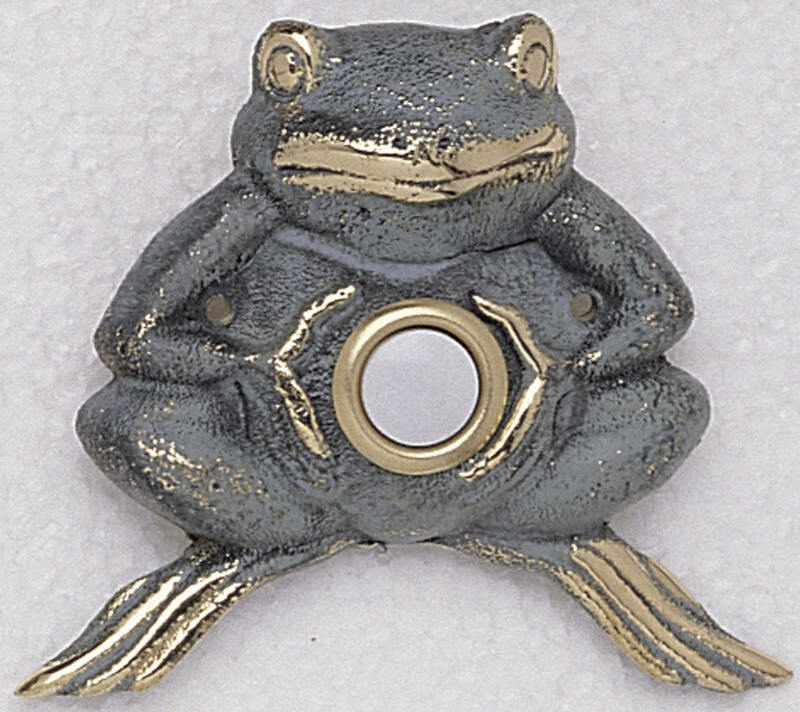 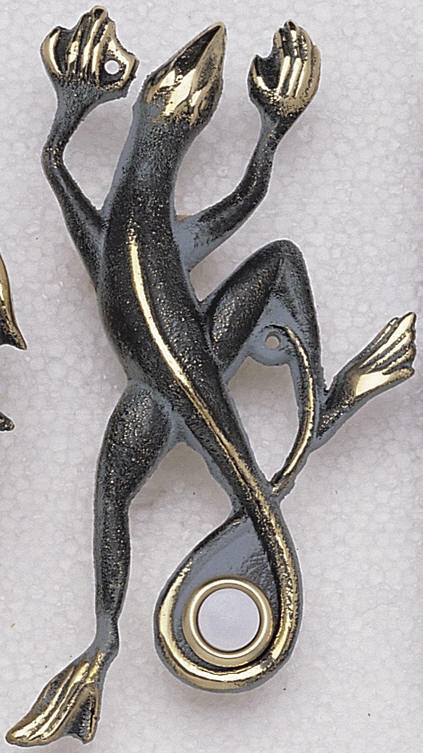 Animals have a Patina Finish (green) with Brass ... absolutely beautiful ! 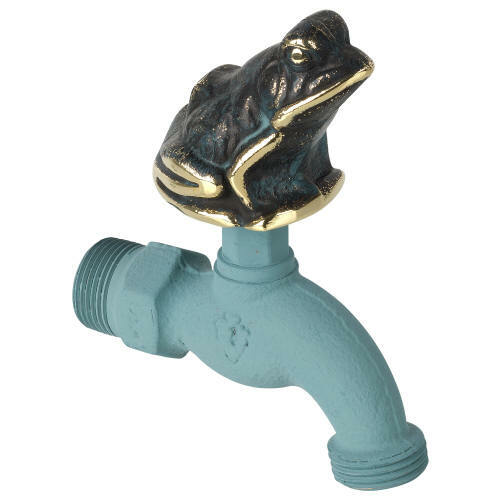 Our Collection of Flora & Fauna offers eight unique animal designs. 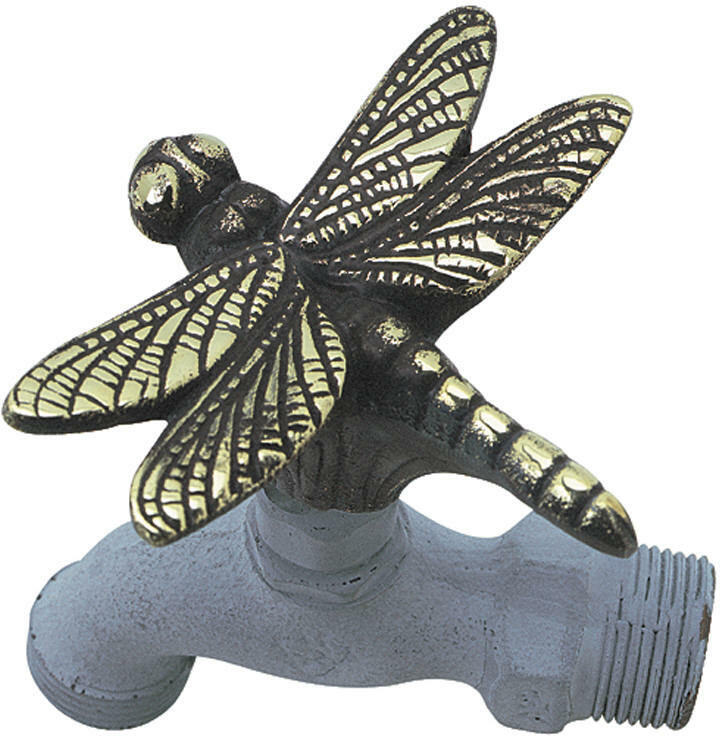 Each faucet handle is made of 100% recycled solid brass and is permanently mounted on American-made 3/4" brass hose bibs. 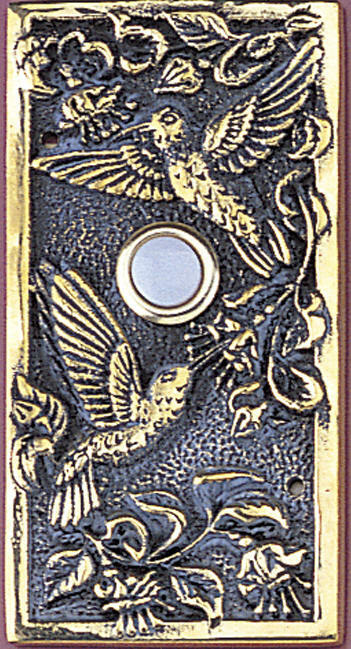 Brass Doorbells with a polished verdigris finish. 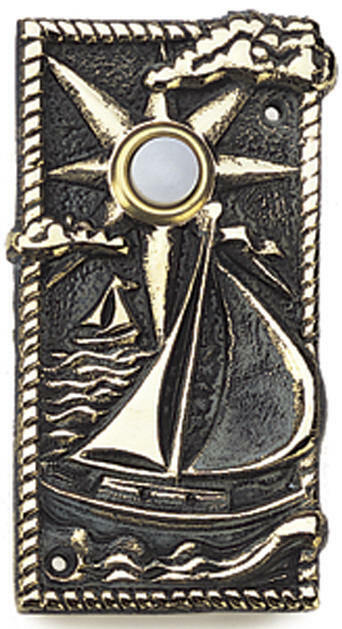 The doorbell buttons illuminate for evening visibility. 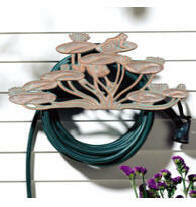 Each comes packaged individually, suitable for gift giving.